Ah, my kitchen. 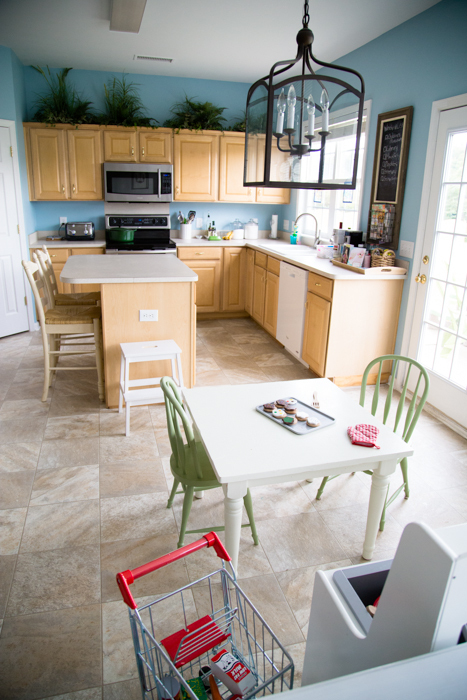 When we moved to this house, the kitchen was the room I was most excited about. It’s come a long way since we first moved in. You can read about the transition of the furniture in the space and see some before/afters in my post “4 Lessons in Organizing Toy Spaces” over on Melissa & Doug’s Playtime Press. But figuring out the furniture layout, upgrading appliances, and all of our DIY fix-it jobs are really only half of the battle. The real struggle? 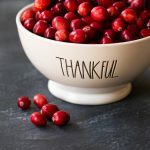 Getting the contents of the cabinets, pantry, and fridge in order so that the space is workable during the craziest time of year–Holiday Cooking Season! Today I am happy to share with you my 10 easy tasks to get your kitchen ship shape before the holidays hit. I just completed my last task earlier this week and I’m so excited to host Thanksgiving for some of Handyman Tim’s family in a few weeks. 1. 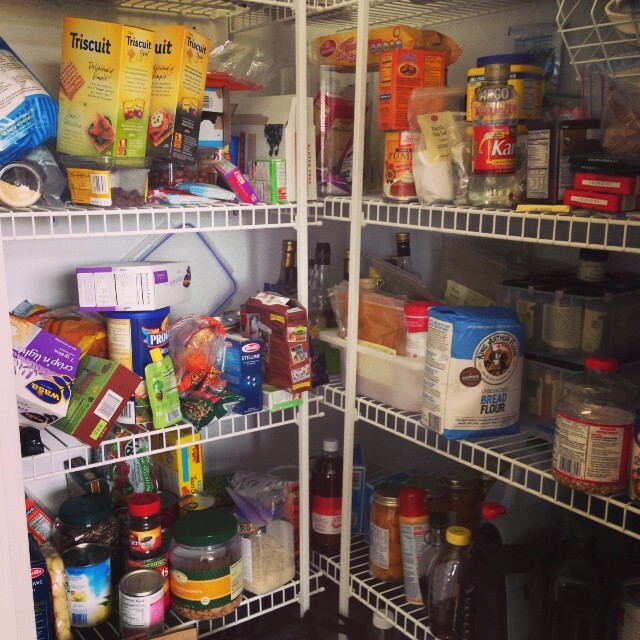 Purge the pantry: I did this earlier this week and I’m actually wishing I had made it my first task. Oh how satisfying. There’s my before photo, what a mess! Right?? Go through all your boxes, jars, cans, and packages and toss anything and everything that’s expired. Can of beans that expired in 2009 anyone?! Take stock of what you have already so you don’t buy it again in a flurry of holiday grocery shopping. Somehow I managed to collect 3 cans of cranberries, a spare can of pumpkin, and 2 half bottles of Karo syrup. Check your supply of nuts, butterscotch & chocolate chips, sugar, flour, baking soda, corn starch, and baking powder. Remove all those half-empty boxes of granola bars and other individually wrapped snacks and combine them into one big snack basket. Oh the space I saved with this trick alone!! 2. Purge the spice drawer: I’m a self-admitted spice hoarder. Thankfully I am careful to only have one jar of each, unlike the rest of my pantry. But items like poultry seasoning and sage hardly get used outside of Thanksgiving for me. I was also randomly low on a few oddball spices. There’s nothing worse than going to cook something, knowing you have the spice on hand, only to find the jar is so low you don’t have enough! 3. Purge the fridge: Make room in this essential appliance for all the goodies to come. I hate coming home from the grocery store only to realize I can’t even put my food away because of the clutter! Pitch the expired condiments or summery things (pickles, relish, etc.) that you know you won’t use before it goes bad. 4. Purge the freezer: The freezer is your friend in the coming months. Use it wisely and you will be able to operate so much more efficiently! Make more room in a crowded freezer by taking things out of their bulky boxed packaging and storing food in zippy bags. Mark the bag with the date, write baking instructions. Use a roll of masking tape if you need more surface area for your labeling. Eat what’s already in there to make room. Have a week where your family challenges each other to be creative with your freezer stock! 5. 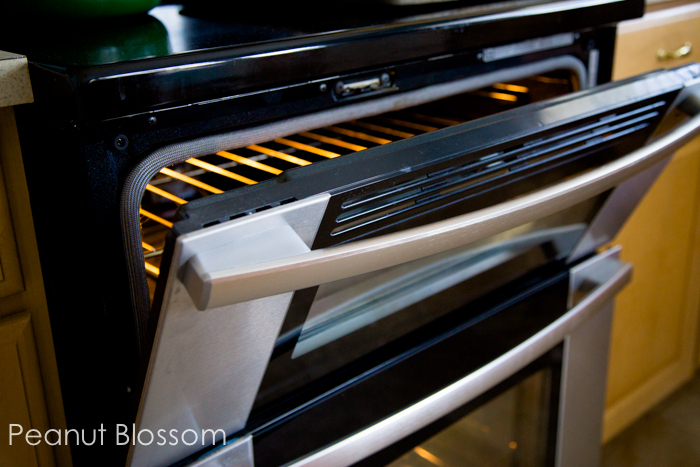 Deep clean your oven: Not fun or even remotely glamorous but it is so nice to start with a deeply scoured work space when the baking marathon begins. 6. Take stock of tools: When was the last time you bought yourself some new kitchen gear? This time of year it is ALL on sale. Check the status of your gear and look for unsanitary cracks, chips, or missing/broken pieces and replace them. Know what you need and stalk the sales. Cutting boards: wooden ones can be relatively cheap. If yours is cracked it needs replacing stat. 7. Start meal planning: Get into the habit of doing this now to save stress later. Bake 1 thing for your freezer once a week starting now for your busy time later. Don’t know where to start? Check out my entire meal planning how-to post and my plug and go meal plan here. Bake this batch of pumpkin bread, you get 3 loaves from 1 mix and it freezes perfectly. This apple crisp also can be divided into 2 servings. Freeze both and you’d have one for Thanksgiving, 1 for Christmas. Or, a ready-to-go neighbor gift. Generally just double 1 recipe you make a week and freeze half of it. Freezer stocking doesn’t need to mean you spent an entire afternoon chopping veggies for freezer bags. 8. Stock up on nice smelling hand soap: Take advantage of the sales when you can find them and treat yourself to pumpkin, peppermint, or cranberry scented hand soaps. I stock up on enough hand soaps from Bath and Body Works to place a rotation of at least 2 per sink in my house. This is one item I can’t stand running out of during cold and flu season. I also snagged 2 of my All Time Most Very Favorite Christmas Tree scented candles during their big sale this week. As much as I love the smell of Thanksgiving dinner, it is nice to have something on hand to clear the air from the scent of gravy when we’ve moved on to the pumpkin pie! 9. Stock your basic kitchen supplies: Save yourself some time and be sure you have plenty of these things on hand to get you through the next couple months. You don’t want to have just finished a huge meal only to discover you’re out of dishwasher tabs! Who needs a trip to the grocery store just for one of these?! Not me. 10. This last tip deserved it’s very own post. 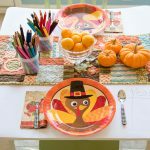 You’ll find it over on Melissa & Doug’s Playtime Press today. This trick saves my sanity when I’m in the cooking zone. It keeps my kids happy and allows me to be both productive and engaged with them while in the kitchen. Easy peasy but so awesome. Check it out here. This post was sponsored by Melissa & Doug. I was compensated to share these tips with you. You may view my full disclosure here. Wonderful tips! I would love to implement these with my kids room to. There is always a problem with kids making room a mess with kids clothing. Check out these links http://www.madhurya.com/ethnic-wear.html?cat=39.